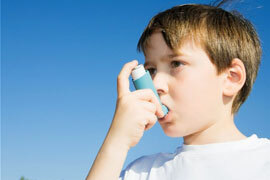 Emergency Asthma Management is the industry standard, Asthma First Aid course that meets the Australian Children’s Education & Care Quality Authority (ACECQA) asthma management training requirements of child care educators. In Emergency Asthma Management, participants learn the skills and knowledge to provide First Aid treatment in the event of an asthma attack. Participants are required to complete a 3 hour practical training course with assessment.